Here was a great idea leveraging newly emerging gps platforms. The business proposition was solid, the network of SPUR ('of the moment') resources established, and BOLD! Technologies delivered web and mobile platforms successfully, on time and on budget. The rapid growth and success of SPUR was such that BOLD! even managed the transition with their West Coast development firm when they moved to Silicon Valley. SPUR was a startup BOLD! counts among its early successes. 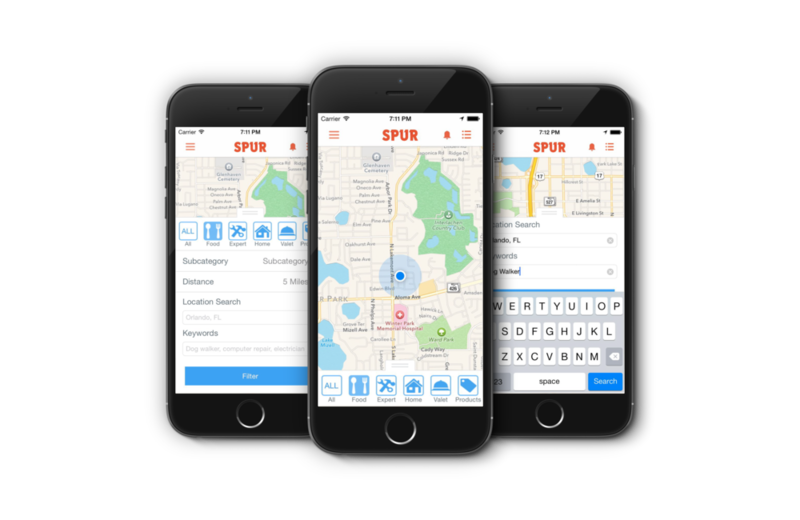 Because of all the buzz and excitement surrounding the nascent mapping and localization capabilities, coupled with their already extensive network of professional service providers, SPUR wanted to be first to market. BOLD! Technologies helped make that happen. When taking an agile, first-to-market approach, you have to be clear upfront that a reduced feature set might be required to get in front of the competition. From a development perspective, when confined to a quick build, depending on scope, anywhere from a few weeks to a few months from concept through deployment, you may not roll out with all the bells and whistles, but you can roll out with a focused, viable product. To further reduce costs and development time, BOLD! Technologies combined the task into one app which we then designed & built. By directing the web & mobile app to target the service provider, and, at the same time, the end user, we not only established consistency in voice within the new brand, but also significantly streamlined its operational efficiency. Through establishing and communicating service standards for providers, the new business enrolled participants eager to sign up for expanded distribution opportunities. Upon validation, i.e. required licensing & bonded, background checks and more, that provider would be verified and added to the network. 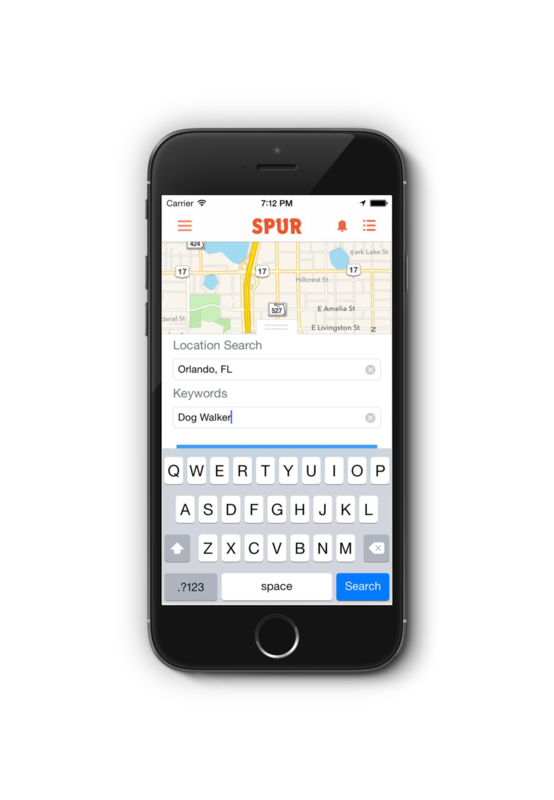 And so SPUR was launched in Orlando, Florida. They were fortunate enough to receive recognition and funding from Silicon Valley investors very quickly. Shortly thereafter, the company made the strategic decision to move closer to their committed investors and relocated the entire operation to San Francisco. As builders of SPUR v.1, BOLD! Technologies, seamlessly managed the knowledge transfer in handing off the apps and operational requirements to SPUR’s new west-coast based development firm.